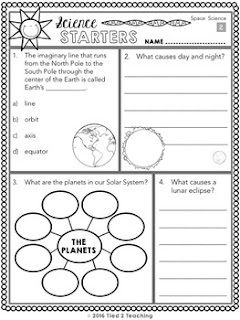 Science Starters gives you 5 thoughtfully designed printables to help you establish your morning routines by providing you a varied, rigorous way to spiral and review your SPACE SCIENCE objectives and standards with your elementary students. 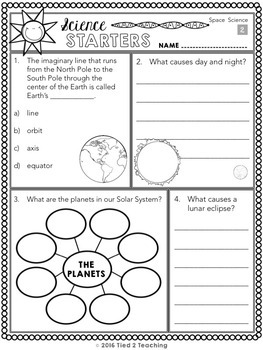 Each Science Starter printable has elementary space science questions in a variety of rigorous formats making them perfect for test-prep, homework, morning work, early finishers and so much more. Also, be sure to check out LIFE SCIENCE STARTERS & EARTH SCIENCE STARTERS!